Edmonton Blepharoplasty eyelid surgery. Dr. Keohane performs more than 300 major facial cosmetic surgeries a year. Call today 780-428-7824. Click to see a selection of our Before and After Eyelid Photos. Droopy eyelids can make you look older and more tired. Surgery of the eyelids, blepharoplasty, is designed to improve the overall appearance of the upper and lower lids, while maintaining good vision and ocular health. As we age, we lose elasticity in the upper lids and start to develop excess skin. Often fat from behind the eyelid begins protruding forward to give the appearance of bags. With increased hooding of the upper lids, they begin to touch the upper lashes. When this happens we subconsciously tend to lift our eyebrows. After years of this upward positioning wrinkles develop in the forehead. In severe cases the upper lid skin begins to hang so low that it interferes with vision. The remedy for this is either to remove excess skin from the upper eyelids (blepharoplasty) or raise the brow via a brow lift or by a endoscopic facelift. In some cases, both procedures are necessary to improve the overall facial appearance. Whether performed on the upper eyelid, lower eyelid or both, eyelid rejuvenation surgery requires many small, precise incisions to remove and/or reposition fat and tissue, then reposition the underlying facial muscle. Overlying skin is re-draped and excess skin is remove. As with all cosmetic procedures there is a limit to the amount of skin and muscle that can be removed from the lids in order to maintain good function and prevent postoperative complications. Click to review our Blepharoplasty PDF procedure sheet. There are a variety of technologies available to perform this cosmetic surgery including scalpel incision, radiofrequency and the CO2 laser technology. Radiofrequency and CO2 laser technology offer a dry bloodless field with decreased postoperative bruising and an earlier return to function. However both these techniques can result in the skin incision taking longer to heal with a longer period of maturation for the scar. If you have significant pre-existing ophthalmologic problems please let us know in advance and we will obtain an appropriate ophthalmologic consultation before considering elective cosmetic blepharoplasty. Similarly, if you have problems with dry eyes or wear contact lenses let him know as these issues need to be addressed pre-operatively. Eyelid surgery is a highly individualized procedure and you should do it for yourself, not to fulfill someone else’s desires. Healthy individuals with a positive outlook and realistic expectations are appropriate candidates for this cosmetic procedure. For more information or to book an appointment, contact us. 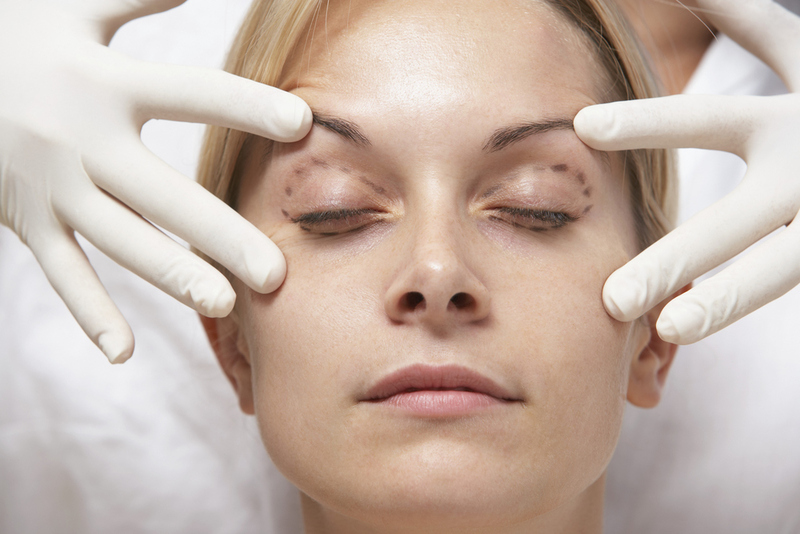 Most patients have a short recovery time after blepharoplasty. Immediately following surgery tiny bandages or steri-strips are applied below the lids, and an ointment will be prescribed to prevent dryness of the eye and a certain degree of swelling and bruising is normal and expected. During the first 48 hours cold ice compresses as well as elevation of the head will enhance healing and relieve discomfort. Permanent sutures or stitches will be removed approximately five to seven days following surgery and most patients are able to resume normal activities in ten to fourteen days. Most people return to normal activities after 7 to 10 days following blepharoplasty. Two weeks after eyelid surgery, the majority of the bruising and swelling will resolve. For more information or to book an appointment, contact us.